On the tenth anniversary of Resolution 1325, it is important to take a step back to gain a more global perspective and to celebrate how far we have come as well as recognize areas for improvement in terms of the participation and protection of women in situations of conflict. There have been ten years of overwhelmingly strong consensus around this resolution.Â During this time, my country has emerged from decades of suffering to major progress for women.Â We now work in solidarity with the international community to eliminate the deeply rooted tragedy of the disproportionate effects of conflict on women and highlight the crucial role of womenâ€™s leadership in the peace process. The Afghan people have suffered immensely for more than 30 years under foreign invasions, civil wars and Taliban rule. In the 1990s Afghan women were the targets of brutality and widespread violence, including gender based violence and oppression. The Taliban completely removed women from all aspects of public life, depriving them of such fundamental rights as education, and participation in both the economic and political sectors.Â The enemies to womenâ€™s rights remain strong in their efforts. They misrepresent Afghan traditions, using their own interpretations of Islam to justify their actions. Since 2001 Afghanistan has made considerable progress in the advancement of women. The government of Afghanistan has committed its energy and resources to strengthening the rights of women, improving their roles in all aspects of political, social, cultural and economic life as shown through our National Action Plan for the Women of Afghanistan (NAPWA). The voices of Afghan women have been increasingly amplified by our growing, vibrant civil society and the active presence of women in media. Key areas of success for the improvement of the lives of women have been in the spheres of political participation, education, and health. As we finalize results for our second parliamentary election, we recall that last month, millions of Afghans went to the polls to make their voices heard.Â In these recent elections, 406 out of 2,556 candidates were women.Â This compares with 328 women candidates from 2005, and ensures that women will at least fill all 68 seats, or 25%, allocated for women and will likely win additional seats.Â Women will fill at least a quarter of the Afghan parliament, nearing our MDG goal of 30%, and make up 18% of government employees. There are now over 1,000 women in Afghan National Security Forces. We plan to increase the number of women in the Afghan National Police to over 5,000 in the next five years.Â The presence of women in these crucial positions has made a significant impact.Â We are proud of their resilience and bravery in protecting our population. Remarkable progress has been made in terms of the numbers of women and girls in all levels of education, and the increased literacy ratio of girls to boys. Around 37% of the 7 million students in Afghanistan are female. Today, Afghan boys and girls have equal access to education.Â We must continue our efforts to teach girls to read, and to provide more accessible schooling for women and girls particularly in rural areas.Â Furthermore, by providing basic health services to nearly 90% of our population, health care in Afghanistan has improved tremendously for both men and women alike.Â This sector also provides employment opportunities for women, as over 20% of doctors and half of health care workers in Afghanistan are women. The Commitment of the government of Afghanistan and support of the international community have been the crucial factors for the achievements of women in the last decade. 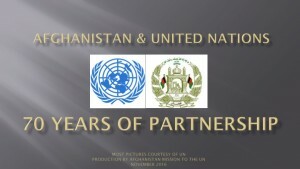 During the London and Kabul Conferences, in January and July of this year, we reaffirmed our commitment to protecting the rights of women.Â As the country is moving towards seeking a new political framework for peace and reconciliation, it is vital to make sure that these achievements are sustained and the rights of women are protected in the future. While we consider the Peace Talks to be an important part of our shared stabilization efforts, the human rights and womenâ€™s rights enshrined in our constitution are non-negotiable.Â I can assure today that in every single peace talk, and in every single step of the reconciliation process, womenâ€™s rights will remain a priority.Â We see our reconciliation process as the way to end violence for all Afghan people, including women. The representation of women in the Afghan Peace Jirga in June 2010, and the inclusion of ten women representatives in the newly established High Peace Council are important steps in guaranteeing the active involvement of women in the peace process and in facilitating reconciliation talks with those who are willing to renounce violence. At the ten year mark, as we reflect on the successes and challenges of Resolution 1325, we welcome the Secretary Generalâ€™s report of 28 September 2010, which mentions clear, revised indicators for measuring the success of 1325.Â We now have an extremely useful set of tools which must be implemented in order to gauge our impact in this area going forward. We must revisit the original goals and objectives of 1325 in order to strengthen the monitoring process, address potential gaps, and learn from one anotherâ€™s best practices. We are appreciative of the crucial role of the international community and thank UNAMA for their support of all national efforts toward improving the situation of women in Afghanistan. We extend our gratitude to UNIFEM for engaging womenâ€™s groups in supporting authorities to improve investigation of sexual violence, thus strengthening community capacity for the prevention of such horrendous acts.Â We are committed to further working with UNIFEM toward completing our CEDAW report in the near future.Â We also appreciate the roles of all UN bodies, such as UNICEF, UNDP, and UNFPA, for their efforts toward improving the lives of women in Afghanistan.Â We have high expectations for the work of UN Women and support the development of a strong relationship with this institution going forward. Resolution 1325 is not about rescuing women.Â It is not only about helping women who are struggling to overcome conflict, but about recognizing the unique role of women as peacemakers, and creating opportunities for women to excel in leadership roles.Â What better place in the world to demonstrate the importance of this issue than Afghanistan. 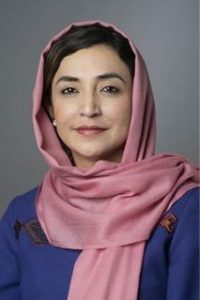 Afghan women are not damsels in distress.Â They have been victimized, but are not helpless victims.Â They have their own ideas about the needs of women in their country, and must be listened to and supported on their paths to self-empowerment.Â Honoring Resolution 1325, and subsequent resolutions 1820, 1888, and 1889, is not only a commitment of the Afghan government, but it is a necessity.Â While women are generally the first to be affected by conflict, let us all look forward to witnessing women as those who are the first beneficiaries of peace.